Who is the best DJ in Puerto Rico? 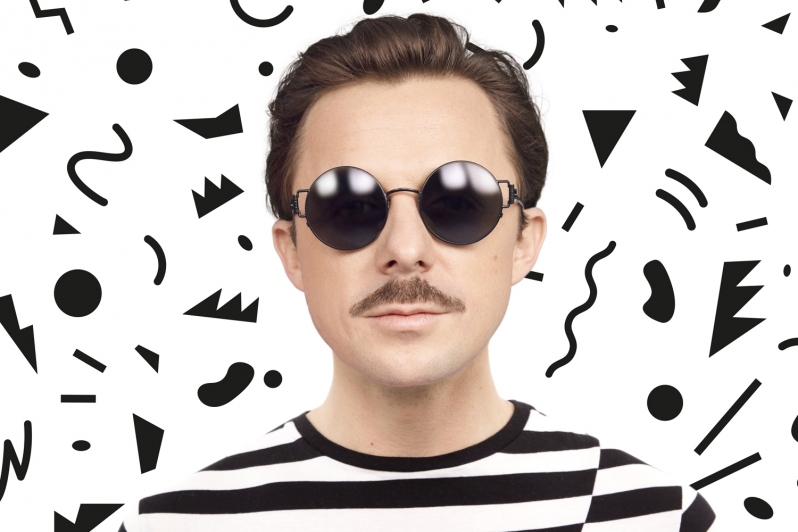 With his captivating beats, Martin Solveig, French DJ and producer, has been keeping the dancefloors flooded with enthusiasm for more than 20 years. Hes been providing high-octane levels of catchy hooks over the years, with limitless singles and signature dance sounds. Counting titles such as Intoxicated, Places and Hello in his repertoire, the latest addition is the summer hit All Starfeaturing Finnish talent Alma, the young pop singer who with her neon colored hair and gripping voice is set to conquer the industry. "I cant reveal everything, but Im working a lot on my sets, I always want to make them unique so I never stop preparing lots of new exclusive edits." What was the scene like when you first started playing? When I started (at 13), there wasnt really a scene. I started playing for friends, because it looked like something fun to do. It was original, and not very common to dj. Then I started to buy more electronic, 12 vinyls. I really got into the house scene through the records that were coming from Chicago and New York in the early 90s. They inspired the first record that I made, before I gave myself a more pop feel. Were there any producers at this time that you looked up to? And was it these people that pushed you toward this career? At the time it was Masters At Work, Armand Van Helden, then Daft Punk. Yes I remember coming back from a party at Le Palace with Mousse T saying to myself, one day it will be your turn. What excites you most about dance music at the moment? The same thing that has always excited me about dance music. Its clearly underrated but its the ultimate thing that brings people together, regardless of their origins, social status, religion. From disco to its modern forms its always been like this and it makes me proud to be a dance music producer. How has the Parisian scene changed over the years? Or do you think it has hardly altered at all? It`s undeniable theres a scene in Paris, an identity. People will argue there are more than one, its true but there are things that are Parisian, unique and verify in all the sub scenes. Parisians in general are posh, they have an alternative approach to music, they wanna be special and reject the mainstream for that reason. You have a bit of the same attitude in all the biggest cities in the world like Barcelona, London or New York. But London and New York are way bigger so theres more diversity of behavior and musical approach. Parisian also have a tendency to appreciate music with references to either rock or disco. The fact that they are totally into techno and deep house is a new thing now. As someone in their thirties, do you find the travelling around the world promoting your music tiring, or are you still having a blast being out there and doing it? It can be tiring of course, but I will never complain! Im enjoying myself doing exactly what I want to do while doing my best to entertain people. And SMASH being a different approach it couldnt feel fresher and more exciting! U.S. or Europe...where is your favorite place to play? Ah, that's a great question. I guess in the U.S. or Europe, it would be the same the same in terms of there are some good places and some bad places. Well, it's not like good or bad places, I wouldn't rate it that way, but it's just places where you feel more comfortable, you know, and you just connect, and some where you don't. What are some upcoming projects we can look forward to? I have a few songs... I mean, I have an album called "Smash" which I think will be released in the U.S. soon. It was released in Europe already but it's still quite fresh and I know that most people in America don't know about it. So it's my next big thing, and of course I've been collaborating for the last 3, 4 months and I'm really excited about the result, I think we did a good job so I'm looking forward to seeing the outcome of this.